Three Rivers Area Mentoring - Calling All Mentors! We are in need of people willing to mentor our youth!! It isn't a hard thing to do - all you need is a little time and you can change the life of a child! We train you before you ever meet a child and give you a list of free and low cost activities to do in Three Rivers. We offer you access to FREE training online if you want more information. We host several training sessions a year so that we can fill you in about changes at TRAM, new activity ideas and to get feedback from our mentors. What works for them and what doesn't It's a GREAT chance to learn from each other. Our staff keeps in regular communication with you to see how your doing and to offer advice if it's needed! We INTENTIONALLY match you! This means that through our interviews we are able to find a child that has similar interests as you which makes it easier to find a starting point in your match. Our matches are always invited to our bigger TRAM events - be sure to RSVP if it's requested as space is sometimes limited! 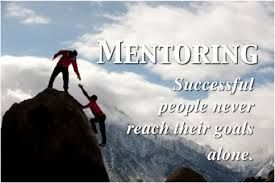 TRAM offers several approaches to mentoring - all you have to do is pick the one that's right for you! Whether you prefer a site based or a community based match, our emphasis is on academics as well as relationship building. What is Site Based Mentoring? During the day, these matches meet in elemtary schools, at TRAM's ASP, at the library or at businesses once a week or on alternating weeks. They enjoy reading, doing schoolwork, playing games together and more. Site based matches meet only through the school year and do not see or have contact with one another outside of this designated time and place. 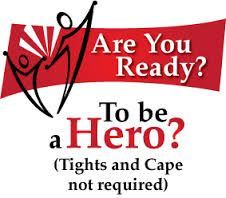 Program 1: matches a youth/mentee with an adult/mentor. While it is the hopes that matches will continue to meet until a mentee finishes 8th grade (1-8 years together) we only require 1 year commitments. Program 2: matches a youth/mentee with a high school student/mentor. 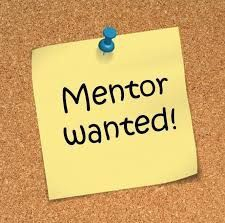 High school mentors are sophomores - seniors (age 15+) but some exceptional freshman are accepted. It is the hopes that these matches will continue to meet until the high school student graduates (1-4 years together). The high school students to have the option to continue seeing their mentees after they graduate! Business Programs serve youth/mentees grades 6th - 8th. These mentees are matched with an adult employee/mentor from a particular business. What is Community Based Mentoring? This program matches a youth/mentee with an adult/mentor. They agree to meet for 4 - 7 hours a month, out in the community, with built-in flexibility to fit volunteer schedules. Activities vary depending on the interests of the mentors and mentees and may include games, crafts, sports, reading, or doing homework. Community mentors include: individuals, couples and families. The adults/mentors sign up for a one year commitment but it is the hopes that the match will continue until the youth/mentee graduates. Read the newsletters as they sometimes contain free or discounted opportunities for our community matches from our generous community!